This trick is having the regular jumbo kings to Aces effect plus two extra additional effects in same trick. Twisting the Aces and Transporting Aces are two newly added in this trick for these extra effect we supply two extra cards also. 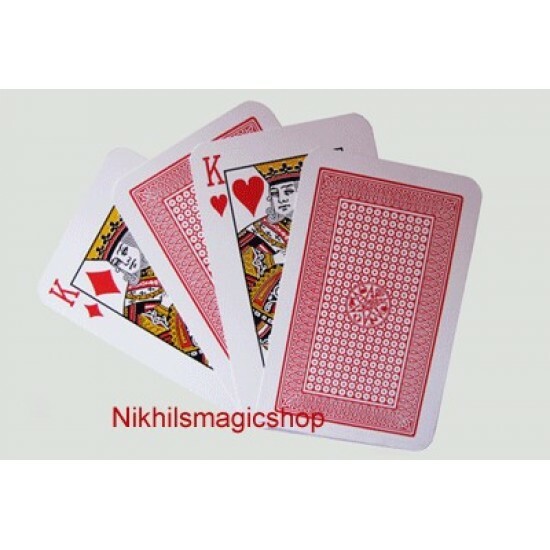 Regular effect : - Magician holds a packet of four Jumbo size cards and states that he is holding the Four kings- they are two RED kings and two BLACK kings. 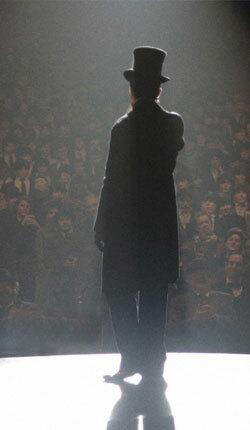 He requests a spectator to choose either color - Red or black. Spectator calls out his chosen color. Then magician fans the face down packet. Two cards are seen face up. They are the cards of the chosen color. Then the magician closes the packet and opens it again. The selected cards are now face down and the other color cards are face up. Then magician closes the packet and says â€œwhat you saw is a complete hallucination, because there are no Kings". He turns the packet face up and shows the four cards one by one. They are the four ACES. Twisting the Aces: - The performer shows four cards face up. 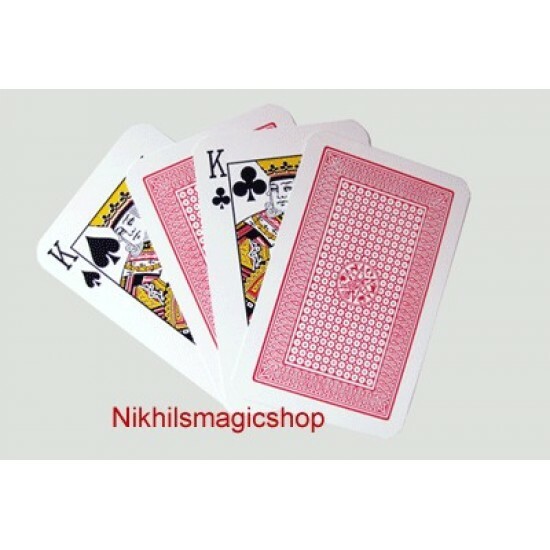 He turn the packet face down â€“ and gives it a magic â€œtwistâ€ one of the cards turn face up. This is turn over, and another magic twist makes yet another card turn face up. This is repeated, till in turn all the four cards have turned face up, One by one. 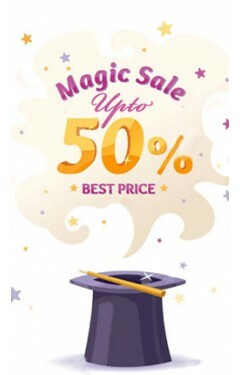 We supply total Six special Jumbo cards required, with instructions. Very Easy to do. Super Mentalism Magic TrickThe spectator is given a ball to hide in one of their hands.Using his mental powers the performer is able to reveal whi.. 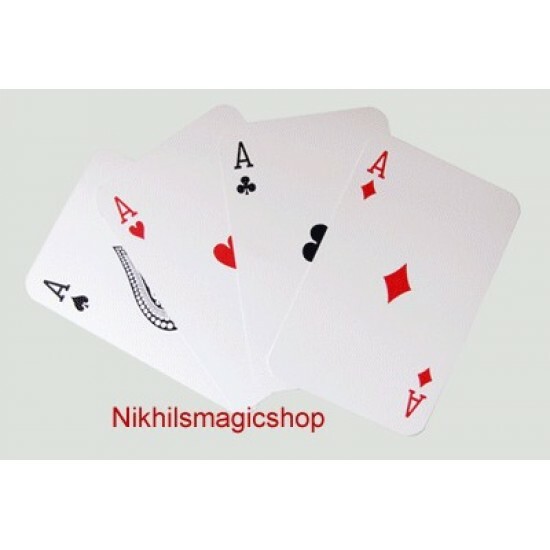 The magician shows both the front and back of 3 cards, viz.- Eight of Hearts, Ace of Spades & Five of Diamonds in a fan. He squares up the 3 cards and..